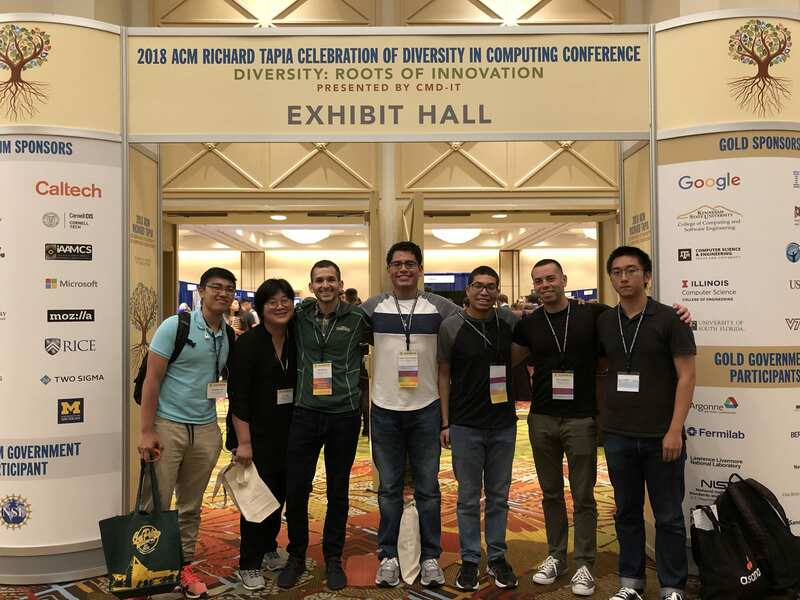 Each year, the Richard Tapia Celebration of Diversity in Computing brings students, professionals, and academics together to acknowledge, promote and celebrate diversity in computing. Participating for the first time, USF Computer Science sent five students to Orlando, Florida to participate, network, and recruit upcoming diverse computing leaders. What was your main motivation for attending Tapia? How do you feel the conference stood with its mission of promoting and celebrating diversity in computing? What was your experience at the Tapia Conference? What was your biggest take away? What speakers or sessions stood out to you? Why? What receptions did you attend and what did you like about them? Three of the five attendees from USF received interviews while at the conference, with one securing an offer before departing Orlando. Thanks to this year’s Tapia Conference student attendees, as well as the faculty and staff that supported their participation. These students will be the change agents for new research and development in computer science.